Thank you to Libman for providing me with product to review. All thoughts and opinions shared below are my own. Ladies and gentlemen, it's the time of year that we all love and look forward to the most: SPRING CLEANING! Although I say that in jest, I KNOW some of you actually do look forward to this time of year. For those that do and those that do not, you are going to love this HUGE Libman bundle of everything you need to make your house sparkly clean this spring! This picture was taken after I mopped my hardwood flooring using the Libman spin mop as well as the wood floor cleaner. I am so pleased with the fresh scent and shiny, clean appearance! Libman is prepared to tackle your biggest, messiest cleaning jobs with products that are not only effective but also easy to use. 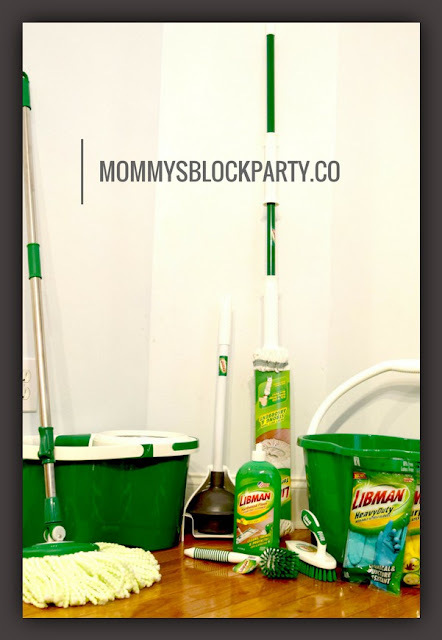 I've been using Libman products for years so when the opportunity rolled around to share with you about some of their "must have" cleaning essentials, I couldn't have been more excited. 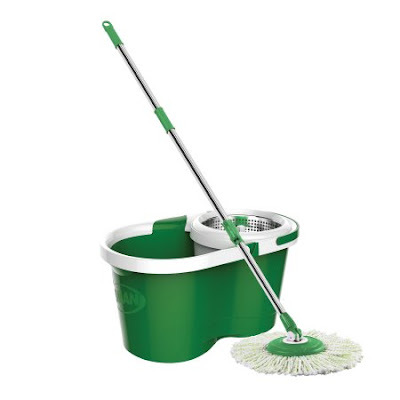 Libman offers household cleaning options as well as heavy duty cleaning for big, tough jobs. This is the amazing spin mop and bucket. It's innovative design allows you to control how much or how little water/solution you wanton the mop head itself. The mop spins 360 degrees and comes with a stainless steel wringer. For over 120 years, Libman has been a leading brand for affordable and functional cleaning products. It's no wonder this brand has been the "go to" company for families for decades! What's more, families can feel good about helping out the environment by supporting this company. Libman is committed to environmental stability and utilizes recycling. 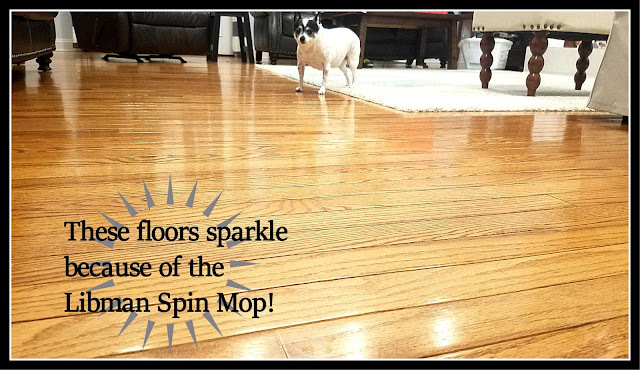 Using the Scrubster Mop along with Libman hardwood cleaner is a recipe for success! 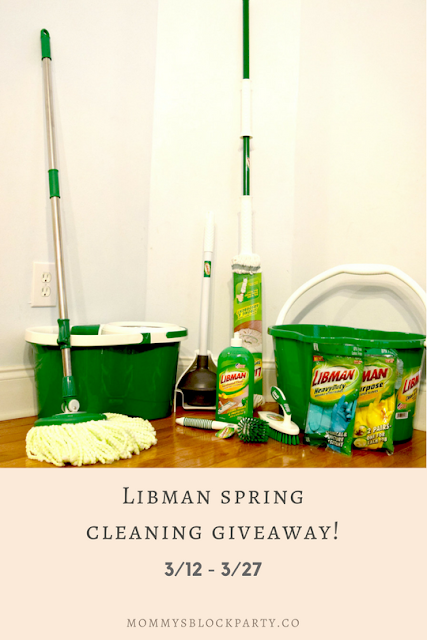 If you're interested in seeing how Libman products can completely change your spring cleaning this year, continue reading and be sure to follow the directions to enter an amazing giveaway! If you want it, you can win it! 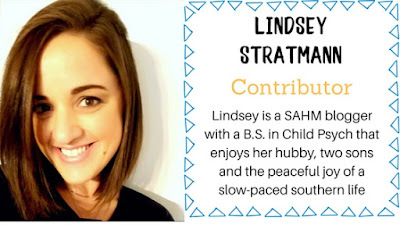 A very special thanks to Libman for the opportunity to review their amazing products! Yes i love spring cleaning allows me to declutter and gives me an excuse to shop lol. I am not looking forward to spring cleaning, hopefully this prize pack makes it a little easier! The spin mop is amazing! I would love the spin brush! I don't look forward to it but it has to be done! I love their mops. It is the only brand I buy. Can't say I really look forward to spring cleaning but it's something we need to do. I hate spring cleaning - but I love the feeling when I'm complete! Yes, I am so ready to have my home get a good spring cleaning. I definitely don't look foward to spring cleaning, but after I'm done it's so rewarding! Yes! I'm ready to clean and open my windows to let get my house feeling fresh again. I'd most like to try the floor mop out. Are you kidding me? NO WAY am I looking forward to it. I'd like to try out the Spin mop and bucket. I am not looking forward to spring cleaning. I do look forward to spring cleaning. I love when it is done and my home just feels clean. I just saw the No Knees Standing Scrub Brush on the Libman site and have to have it. I use a mop but get down on my hands and knees for all of the edges and corners. This will make it so much easier. Been cleaning my house the last week out with the cold in with the warm. I would love to have the Palm Brush from Libman. I am not looking forward to the cleaning part but I am looking forward to spring! I do look forward to spring cleaning every year, finally getting to open the windows during the day. I need to replace the brushes in both of our bathrooms, I would like the DESIGNER BOWL BRUSH & CADDY. No, but someone has to do it. I would like to use the spin mop. I look forward to decluttering. 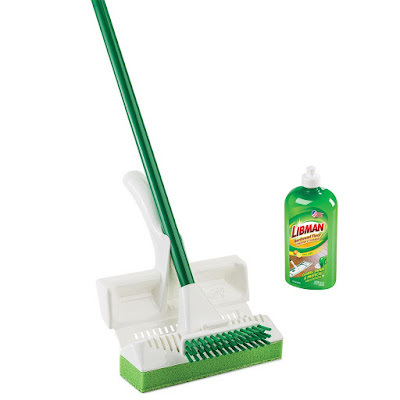 The Libman Wonder mop seems like it would be awesome for spring cleaning. I only look forward to spring cleaning because it involves getting the patio furniture out of storage and set up!! Yes, I love doing it. I do! I love to open the windows and blast my country music and freshen the house. It's a great feeling. I do look forward to spring cleaning! Out with the old, in with the new!